With over 75 years’ experience in commercial and office removals, we make quick and efficient work of even the largest relocations. Working with a range of organisations, from typical commercial offices to large businesses and public sector organisations including schools, colleges and universities, we move clients from London and Kent to all over the UK and Europe. Highly recommended by previous customers and accredited by the Office of Fair Trading, we guarantee consistently reliable, professional and personalised commercial removals services. As commercial removals specialists, we will dismantle and assemble all types of office furniture and computer equipment and pack and unpack your filing and equipment, making sure everything is kept in order. We employ long serving staff and have developed clear operational approaches to every kind of office, school or commercial relocation. We take the time to survey your requirements, we know that kind of items to expect and how much time they need to be dismantled, assembled or securely packed. Most of all, we take pride in high quality removals that always run reliably, professionally and on schedule; we can even carry out moves over a weekend to leave you ready to get straight on with work on the following Monday. Sometimes moving days don’t quite line up or it makes sense to stagger relocation. That raises a need for space to store all your office furniture, contents and important documents. We operate a containerised storage warehouse that is staffed by fully trained operatives and highly secured with intruder alarms and remotely monitored CCTV. Our storage options are available for as long as you need them; whether that is just for one day or for many years. Based in Ashford, we provide comprehensive removals services to schools and commercial businesses across Kent and the South East. 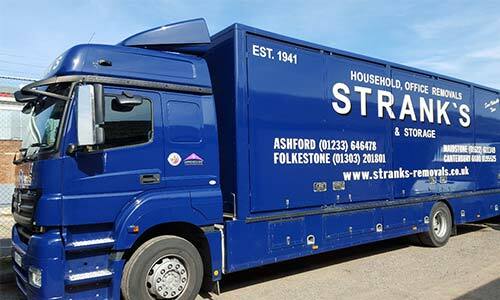 We have helped clients relocate from Folkestone, Canterbury, Tenterden, Romney Marsh, New Romney, Lenham, Ashford, Staplehurst, Kingsnorth, Chartham, Barham and Charing. 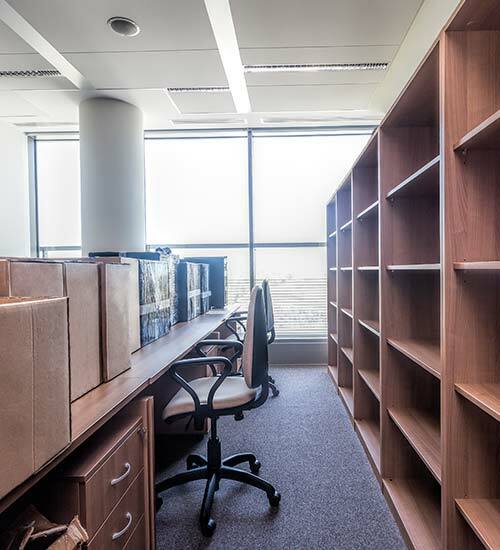 No matter what your requirements for commercial office moves put it in the hands of the specialists at Stranks Removals; contact us today and we can arrange a no obligation survey and quotation with one of our experienced team.